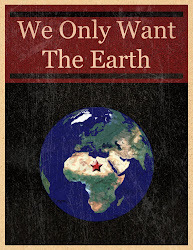 We Only Want The Earth: The Crisis Of Capitalism: What Lies Ahead? What we have witnessed recently is a systemic breakdown in the workings of the neo-liberal market system, where free markets with light touch regulation rule as the most efficient way to allocate goods and services. This light touch regulation has facilitated the unproductive system of financial speculation to replace traditional capitalist investment in manufacturing. This process has been occurring since the 1970s and what we are now witnessing is the system’s self-destruction. However, in contrast to the traditional workings of capitalism, where employers continuously exploit workers to drive down cost to increase their profits, this advanced stage of capitalism builds upon that strategy, and has used the political system it has built up around itself to inflict the losses of capitalist gamblers onto the backs of the working class around the world. The capitalism we are now experiencing is more parasitic than ever before and this, I believe, will be its downfall. This system has been and will be further exposed for what it truly is, as a corruptible system driven by profit and greed, where the capitalist gets wealthier off the backs of ordinary workers, whilst the gap between the rich and poor grows steadily. All of this is being facilitated by a political class that is supposed to represent the people. It won’t take long for Irish people to realise the true nature of this system, as they have done in Spain and Greece recently, and look for an alternative. The ideology of the capitalist contains an inherent contradiction. As the capitalist strives to lower the cost of business and the wages it pays to the generators of wealth, the worker, those same workers have less purchasing power in their lives and thus become alienated from the products of their labour. The austerity process that the agents of capitalism are currently implementing onto society, to pay for the gambling losses of financial speculators will have the same alienating effect through the unemployment it creates. The unemployed or alienated worker provides today’s Socialist with an opportunity to promote class consciousness. The pace of any economic recovery, if there is one, will be torturously slow, owing to capitalism's inherent contradiction. What we will now enter into is a period of stagnation (slow or no economic growth). The inadaptability of capitalism indicates that the promised recovery will not emerge for a long time. This period that lies ahead will provide the opportunity for a workers fight back and a move towards a socialist future. Thus far, the current crisis has been a missed opportunity to forge a militant working class fight back in Ireland, although our comrades in other countries such as Greece and Spain have made more progress. There is now a growing necessity for this fight back, and I believe it is not far away. It will be spurred on by a growing class consciousness which will develop through the coming period of economic stagnation, high unemployment and struggle. Socialists everywhere must be prepared and ready. To achieve victory, a combined, unified and galvanised Socialist movement of working class people, spurred on by a growth in class consciousness and a rejection of sell-out politicians and trade union leaders, is required. The task of today’s Socialist is to facilitate the education of the masses in class consciousness and to be prepared and ready for the inevitable fight towards a Socialist society that lies ahead.